Julia moved from Ukraine to the US in 2001. She has a Bachelor's degree in programming, but life had a different path for her. Her professional career in the US started in the financial planning field in the Washington DC area. After she moved to Florida in 2004, she got her real estate license and never looked back. Over the years, she helped many people to relocate to and from the Tampa/Clearwater/St. Petersburg metro area. 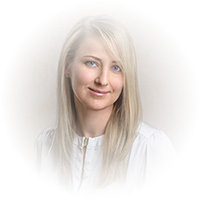 She is very organized, detailed and believes that in the complex, and sometimes stressful, world of real estate the key is to find a trustworthy person whose knowledge and experience will make the process as smooth as possible. 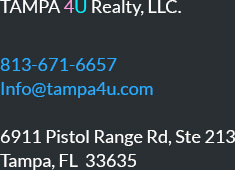 In 2008, Julia started Tampa4U Realty and, up this day, Tampa4U Team is successfully helping many families with their real estate needs and goals. "OUR CUSTOMERS DESERVE AND RECEIVE THE FINEST SERVICE EVER OFFERED BY REAL ESTATE PROFESSIONAL"